It has been such a hectic hectic week for us, it is now about regrouping, organizing, and planning. 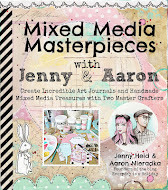 We are both super excited about our newest designs, and have so many ideas swirling around in our heads! Before we move on any further....I know I had promised some more holiday photos to a bunch of you sweetpeas! If you had seen photos of our tree, and holiday decor from last year...you can see what a BIG change this new wall color has made! It took some time..but now I really do love it! I am excited to have a new backdrop to my seasons. I think Spring will be lots of fun! My bunny collection will surely pop against the subtle tan! First is our dining area, cozy, calm, yet sweet. A happy change for us. 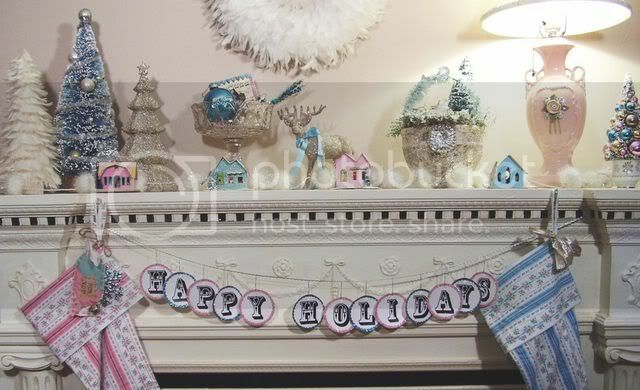 Next, our mantel, a grouping of all things vintagey pink, turquoise, glittery, and fun! 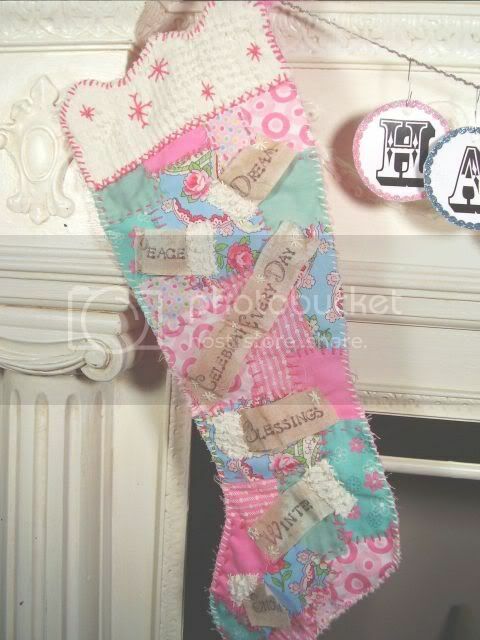 also...notice the super sweet ticking stockings from our dear friend Jennifer over at Sis Boom! 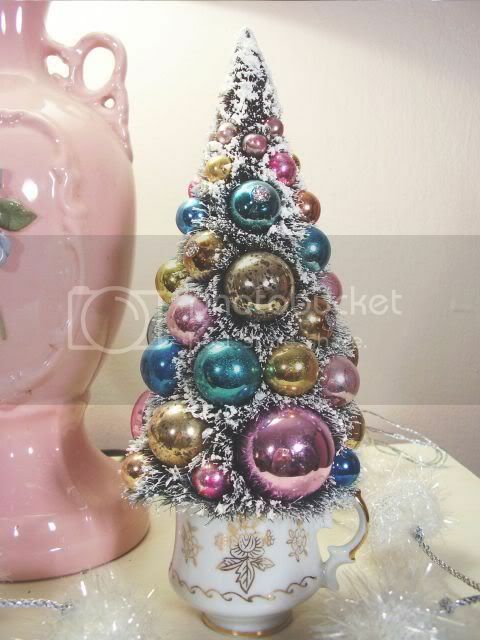 Next, a fabulously sweet vintage glass ornament tree in an antiqueteacup that I found on eBay last year! 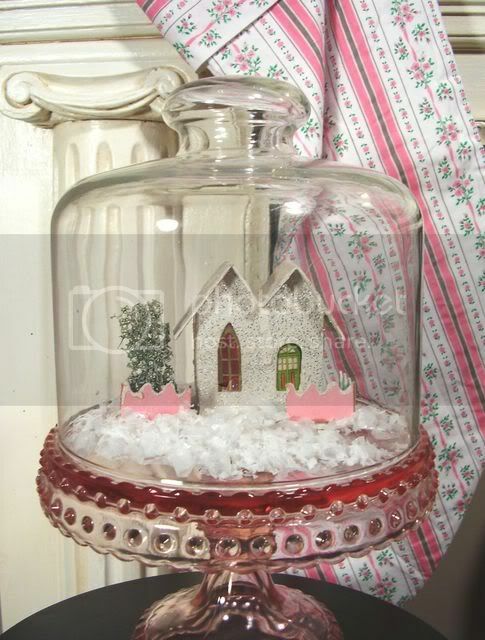 Then we have, my favorite pink hobnail glass cake stand and dome encasing one of our sweetest vintage cardboard Christmas houses! 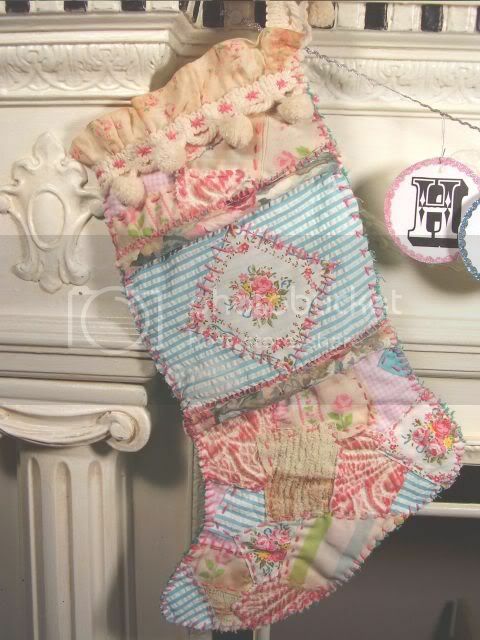 Next, two of the most incredible, 100% hand stitched stockings by my sweet sweet friend Rosemarie! The same gal that created the darling tags I had showed you all back in November! Aren't they just fabulous! so much time, and detail! We adore them! Be sure to visit Rosemarie's eBay auctions...she creates some of the sweetest prim Valentine's ever! And last but certainly not least.....these to die for...handmade altered photo ornaments by my amazing friend Laurie Duncan! 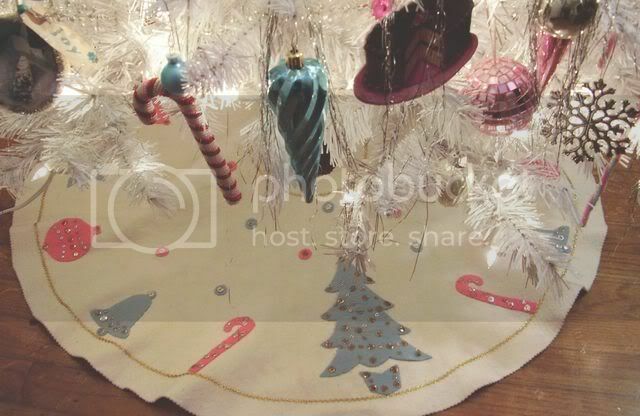 How fabulous are these little Winter Angels? 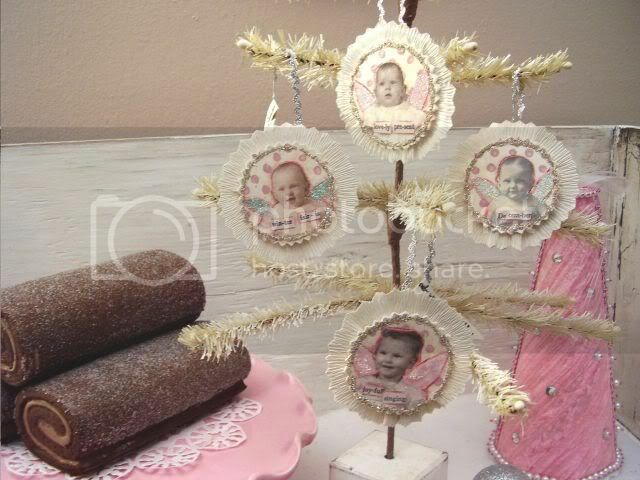 German glass glitter, vintage crepe, and old photos of family members! So so lovely! I adore these to bits! I will be leaving them up all winter! 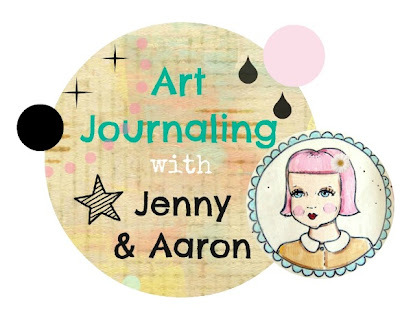 ps...My sweet sweet blogland friend Rosemary (from Texas) just started a Blog ! YAY!! Have a peek...it is looking AMAZING!! I am so excited to see more!! Welcome to blogland Rosemary!! I love your style. Very, very pretty! Thank you so so much!! Do you have a blog? If so, I'd love for you to post a link! AOL makes it so hard for us bloggers! Sorry about that! Thanks so much for visiting!! Happy Happy New Year! 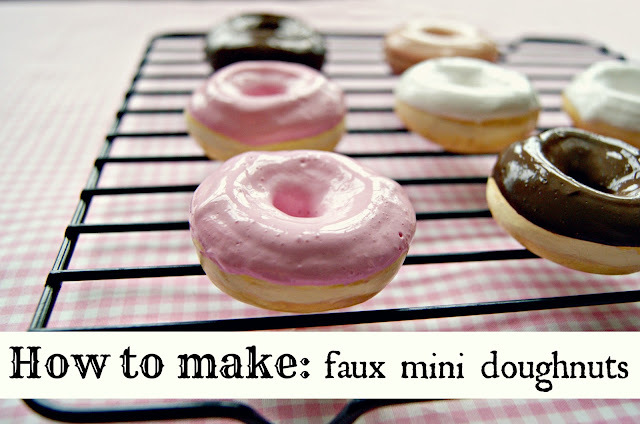 Your home looks so yummy and delicious! I would go crazy walking around and touching everything! Ooooooooooooooh! How pretty! Thank you so much for sharing those gorgeous pics! Your tree, your home! The whole place is just lovely!!!!! That's some serious Christmas beauty! So beautiful! I love the tan walls. I am a tan/khaki wall girl myself,yes everything pops! I think I like the little man in the party hat best. The skirt is also fab. Mine is a vintage felt design in my chosen colors of red,silver,gold,and yellow,plucked from an estate salefor only a couple of bucks. 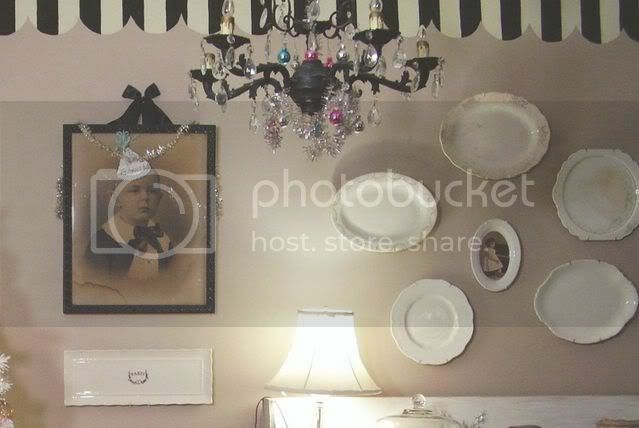 I am also crazy for the cake stand with the scene. Sooooo wonderful! Aw sweet Jenny! 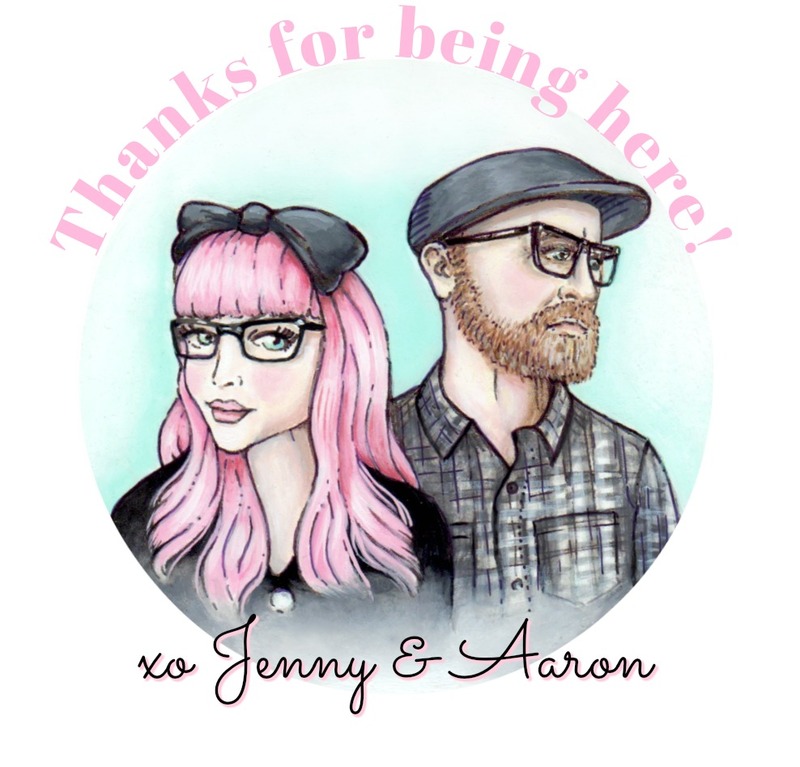 Thank you for posting my blog on your site! I've already gotten comments from several kindred spirits! I am drooling over your christmas decor! SOOOOOO YUMMY! Love the pretty chandelier! I've got a couple for hubby to hang for me. Yep, hes an electrician but do you think i get my lights hung? LOL! NOPE! Gorgeous, as always, dear! I am so happy you posted the recipe for the cupcakes! But can I also, beg, plead and cry for the recipe for the Brown Derby cake? That sounds and looks amazing!